There are tigers roaming in Singapore - well, almost. 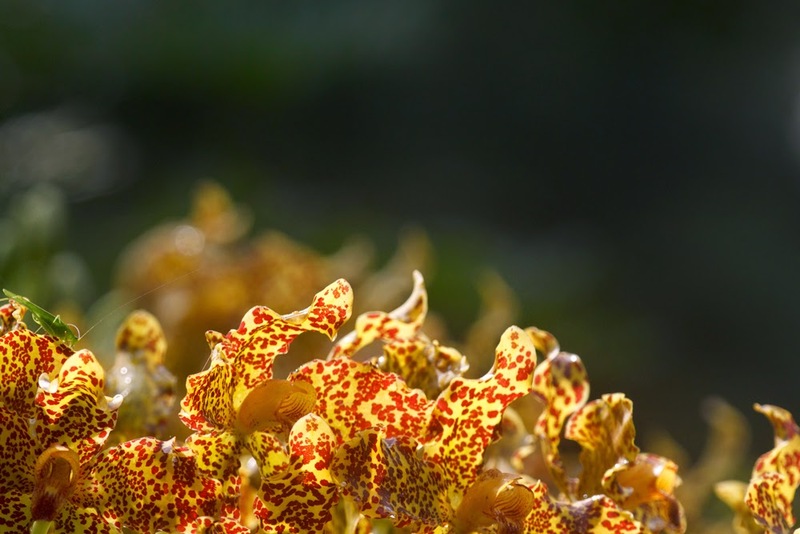 Recently, many nondescript fern-like plants all over the island have been set ablaze by thousands of fiery flowers. 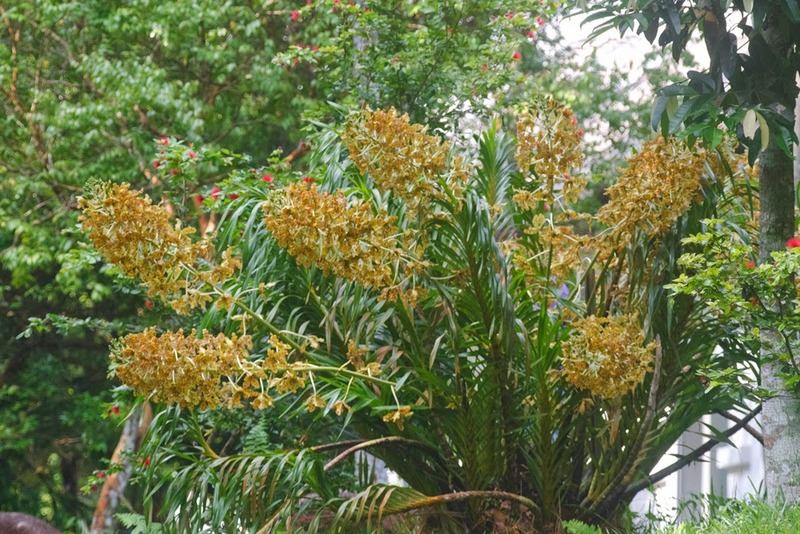 These huge plants, some two metres tall, are tiger orchids - and they're in bloom. This spectacle only happens every four or five years and lasts for up to two months when it does. 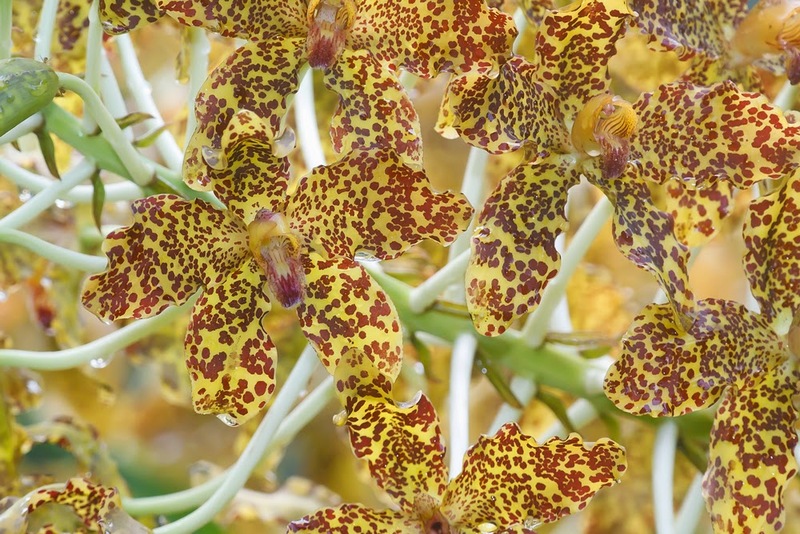 Many of the tiger orchids planted in Singapore flowered last year in May: our first flowering season since they went extinct in the wild here a long time ago. I'm guessing that these plants in bloom now are the ones which did not flower last year. In an effort to reintroduce various orchid species in Singapore, tiger orchids have been planted in many locations, one of them being my favourite haunt, Dairy Farm Nature Park. 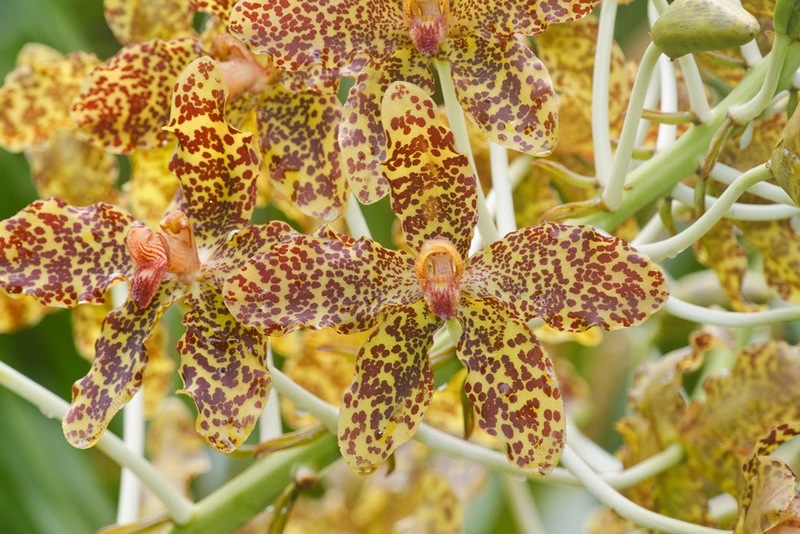 The tiger orchid (Grammatophyllum speciosum) is the world's largest orchid species, in terms of the entire plant's size. Some specimens span over three metres wide and weigh close to two thousand kilogrammes! 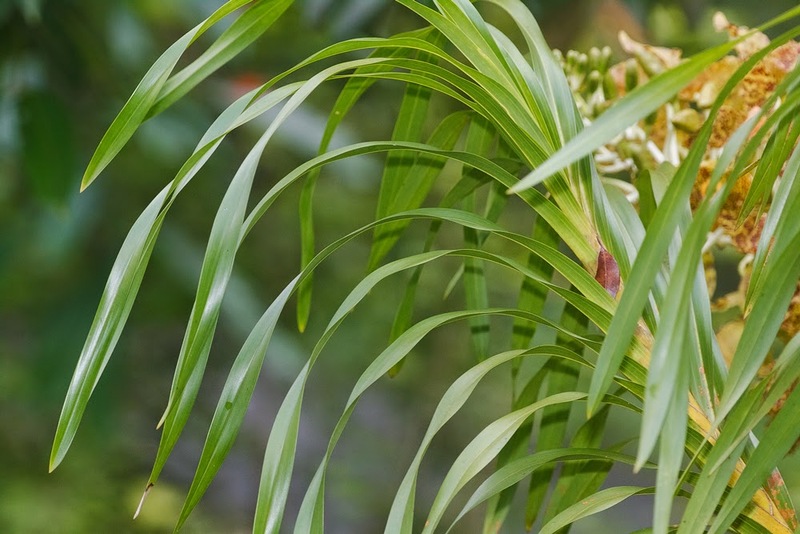 It is distributed in Indonesia, Malaysia, Thailand, Myanmar and the Philippines, growing as an epiphyte (on trees - very strong ones given their weight) in lowland rainforests. However, they seem to do just as well growing on the ground. When not sporting metre-long inflorescences, they appear like ferns; their leaves are thin and strap like. The flowers grow up to about ten centimetres wide and are yellow, with dazzling crimson spotting, and smell wonderful; soft and sticky-sweet, of ylang ylang and mangoes. It is no wonder there were so many bees swarming around the flowers purposefully. Quite a few joggers were drawn to take a whiff and admire the sheer number of flowers too. With the end of this flowering season, the tiger orchids will become adorned with dangling seed pods and hopefully a few of the billions of minuscule seeds released will drift in the wind and settle in a crevice on a strong tree, waiting to start a new generation of tiger orchids. And until the next flowering season, the orchids will be much quieter and plainer, dressed only in dull green leaves. PS: Over the next few posts, I'll share some of the (just as exciting) critters that the orchids attracted.